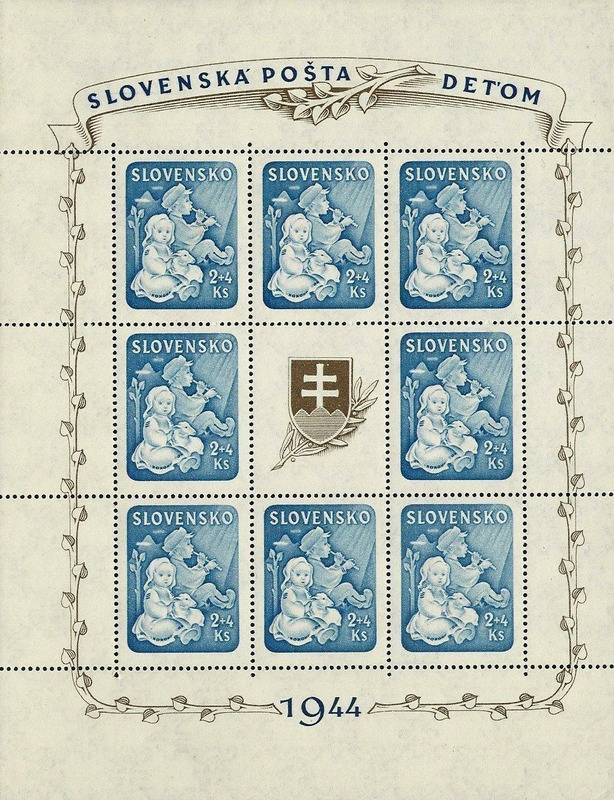 These stamps were only issued in sheets of eight with a central label. 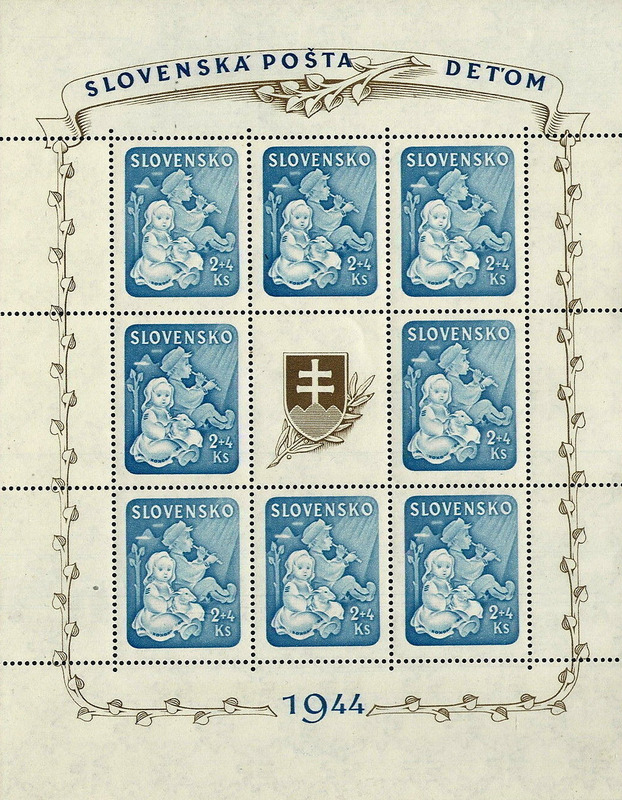 There are actually eight different types of sheets based on four distinct sub-types on two plates, of which only 6000 examples of each sheet type exist. 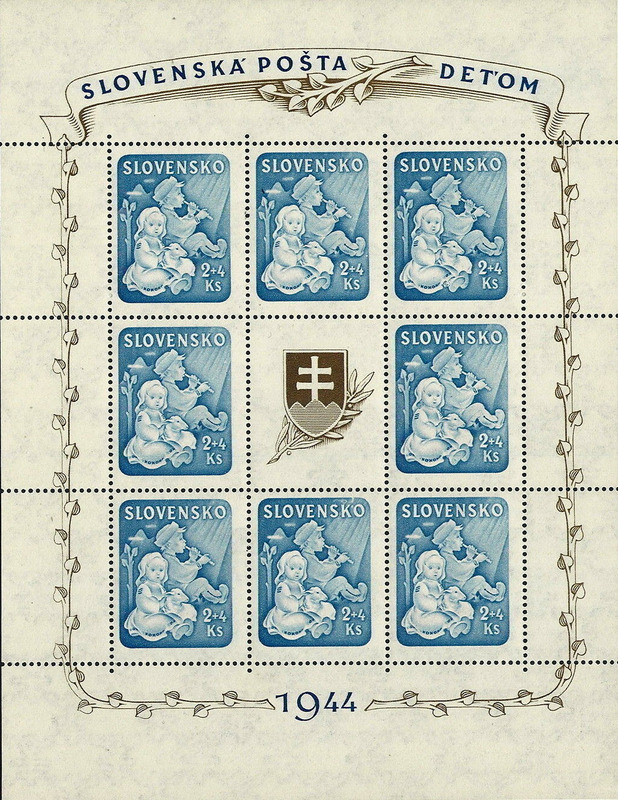 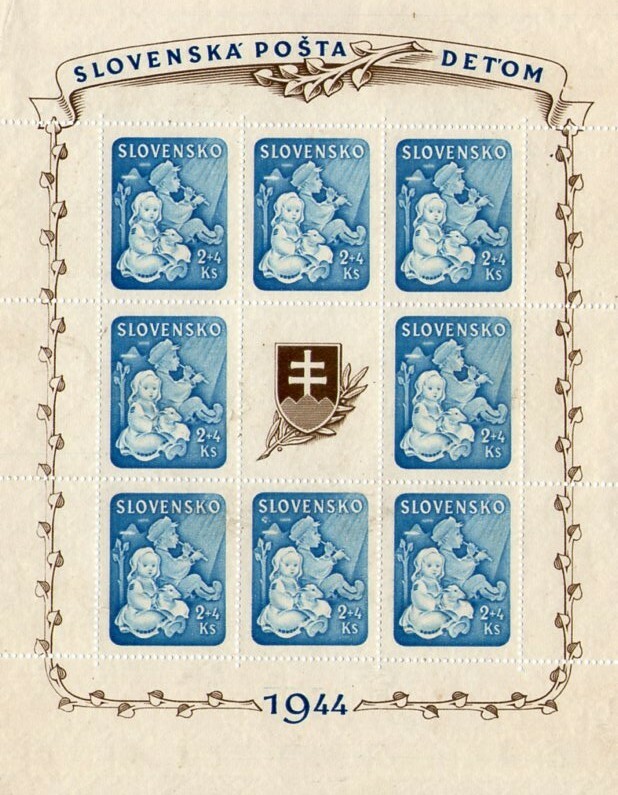 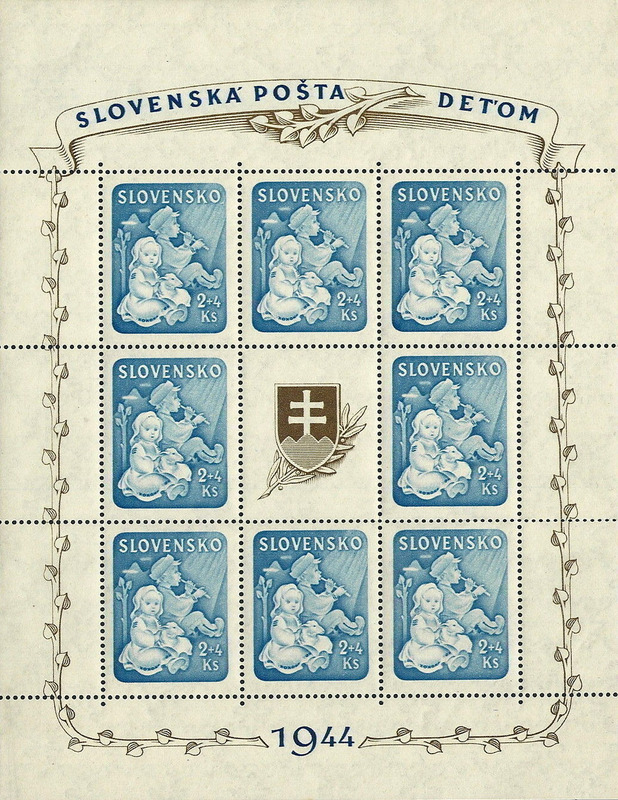 (Slovensko 1939-1945 Specialized catalogue for stamps and postal stationary, Ondrej Foldes, 2007). 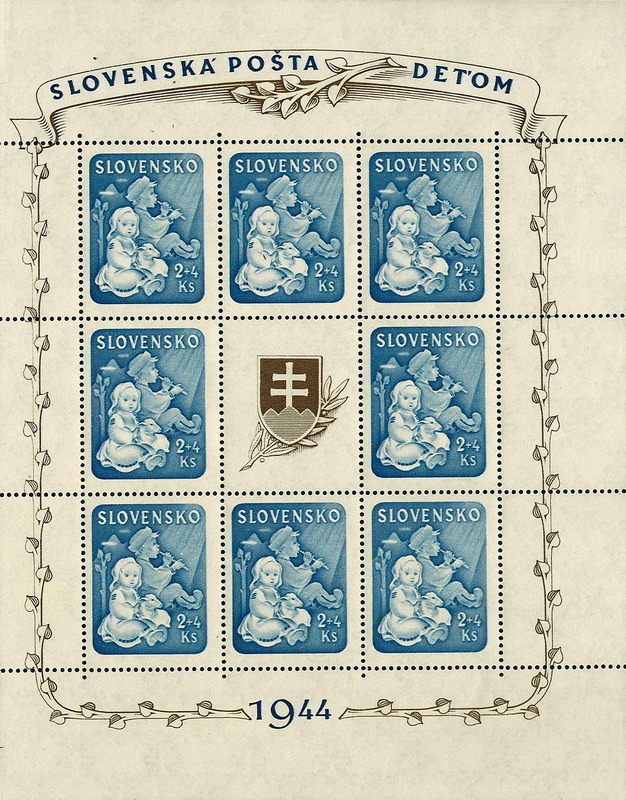 See below for variation examples.